So chuffed that PONK! has been included in Just Write For Kids top 17 reads of ’17! Thank you so much! A real honour to be included alongside some of my favourite titles of the year, too. Looking forward to more bookish fun with everyone in 2018. It’s time for the annual book selections that topped our ‘favourites list’. The ones that had us rip roaring with giggles, the ones that made our hearts stop beating, and the ones that simply took our breath away. It’s always tough to choose, especially since we literally turn over hundreds of books in a year. But here they are, picture books as picked between my girls and myself. Which ones were your favourites? 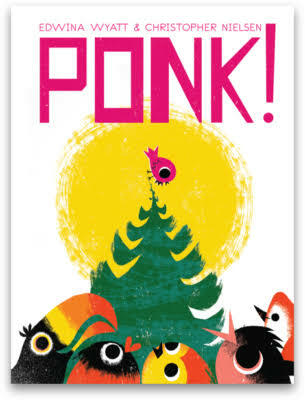 Ponk!, Edwina Wyatt (author), Chris Nielsen (illus. ), Hardie Grant Egmont, September 2017. A little bird determined to see the world from the top of his tree, literally falls down time and time again. That is, until he gets by with a little help from his friends. I love the message of this story about persistence, broadening one’s horizons, and support and encouragement from those around you. For the kids, the quirky, retro-look illustrations and staunch bird character are absolutely endearing, not to mention the repeat of the whimsical phrase, “Ponk!” is hilarious and has now become our little nightly game into bed. Totally gorgeous and enlightening for preschool aged children, we adore Ponk! and his little eccentric characteristics. 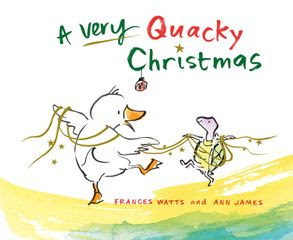 A Very Quacky Christmas, Frances Watts (author), Ann James (illus. ), ABC Books, October 2017. A joyous story brimming with sunshine and optimism, friendship and generosity; A Very Quacky Christmas by Frances Watts and Ann James is a delightfully stunning story that reflects the true spirit of a bright Christmas. Samantha Duck joyously sings as she prepares for a festive day full of giving and sharing, but her pessimistic tortoise friend, Sebastian is somewhat, well, sceptical. When hope seems to be lost, who else shows his support, encouragement and nobility but Sebastian himself. A provocative, feel-good story with dreamy illustrations that allow the golden effervescence to wash over the pages and into your heart. Love. 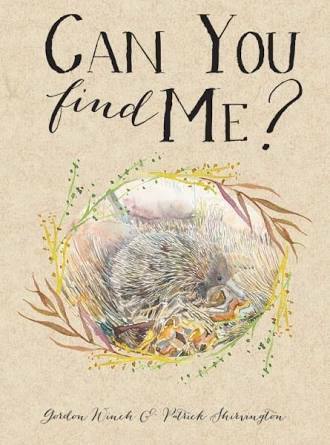 This ‘look and find’ book is a fantastic introduction to Australian animals and their natural habitats, presented in an engaging way that is both simple and challenging enough to stimulate young readers’ success and intrigue. My four year old repeatedly enjoyed the repetitive clues and fine-tooth search within the intricately illustrated life-like scenes. Exploration of new and fascinating creatures, including a stick insect, a leaf moth and a great egret, also provided terrific talking points, and awareness of ‘camouflage’ and these creatures’ amazing survival characteristics. Can You Find Me? is like a hidden package of magic and wonder that is so obviously a winner for preschool aged children. Strumming up a musical storm in a delicious brimful of plonks, plinks and twangs is the energetic page-turner, Digby and the Yodelayhee… Who?. 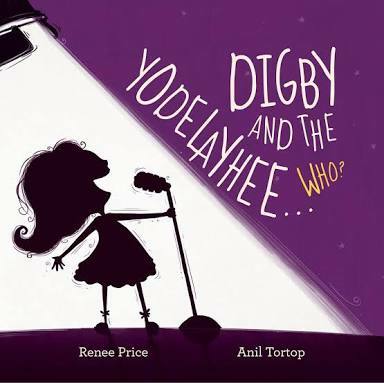 We’ve had so much fun following Price’s tuneful arrangement of rhyme and prose as her loveable characters embark on a melodic journey to discover the mystery of the noisy yodelling noise. Tortop’s illustrations bring life, joy and swag to the hand-clapping, bottom-wriggling experiences we’ve enjoyed with each and every read. This dynamic read aloud story has not only been delightfully imaginative and action-packed, but also allowed us to engage in various musical and mathematical learning opportunities. This book is a suitably orchestrated string of joyous commotion! 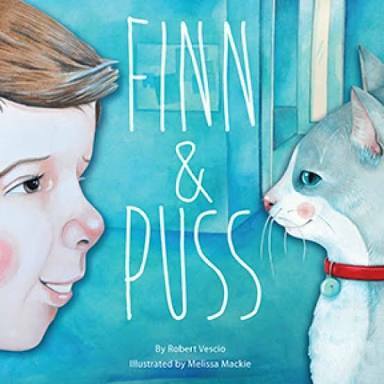 Finn and Puss, Robert Vescio (author), Melissa Mackie (illus. ), EK Books, October 2017. The beautifully simple storytelling format makes the premise of this book clear – good deeds end in reward. With Vescio’s minimal wording and Mackie’s pared back colour palette and unambiguous illustrations, Finn and Puss is a wonderfully accessible and universal concept of returning a lost pet that also brings with it a sense of emotive and moral qualities. Besides being animal lovers, my youngest daughter in particular found this book enticing for its principled storyline and fulfilling finale, as well as its well defined language and pre-reading capacity. Tender and heartwarming. 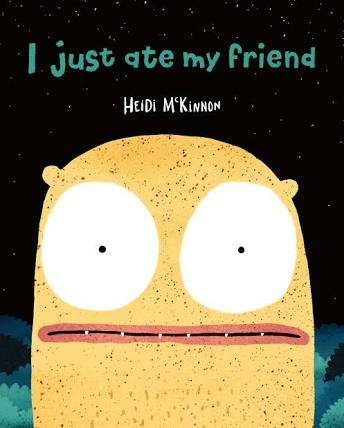 I Just Ate My Friend, Heidi McKinnon (author, illus. ), Allen & Unwin, July 2017. I can’t count how many times we’ve read this book. The kids just never get enough. The concept of eating your friend is hilariously ridiculous, that’s what makes this one so loveable. Not to mention the expressions of the poor monster soul who inadvertently ate his friend and the attempts he makes to find a new one. Plus, with those animated illustrations and that brilliant twist at the end, the dark humour strips any inch of scariness to produce a fully delightful and vibrant read. 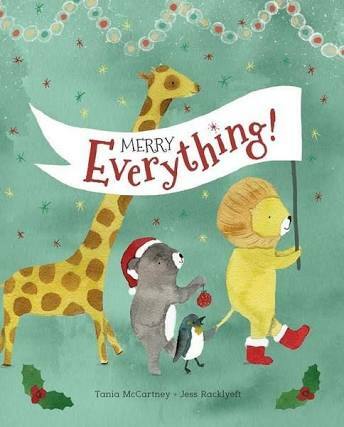 Merry Everything!, Tania McCartney (author), Jess Racklyeft (illus. ), Windy Hollow Books, October 2017. We just adore this utterly joyous celebration wrapped with magic, love, community and togetherness. The scrumptious words and dazzlingly sweet illustrations will melt your heart with every page turn. Animal families around the world busily assemble, and then enjoy, the festivities with their loved ones; described and depicted with cheerful verbs and rhymes, humour and bursts of emotion. Merry Everything! has an unprecedented universal appeal packed with intimacy and happiness. Just perfect. NoMax!, Shannon Horsfall (author, illus. ), HarperCollins Publishers, May 2017. We always, always love a good dog story, especially of the mischievous, raucous-inducing kind! NoMax! is a great read aloud story providing the capability to use voice and expression, and to reinforce rhyming language structures in such an energetic way. We could also appreciate the inferential contrasts between dog and human, making Max’s delinquent behaviour all the more entertaining. A timely story for us prior to committing to the joys of puppyhood, but oh, so much fun! 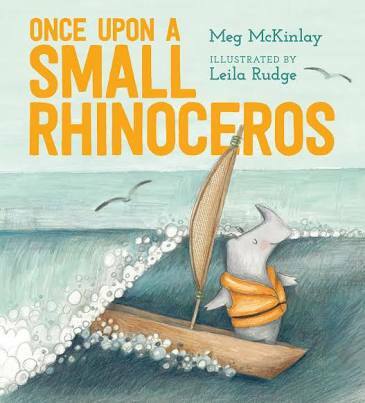 Once Upon a Small Rhinoceros, Meg McKinlay (author), Leila Rudge (illus. ), Walker Books, September 2017. In one word – superb! As a writer, it’s the story you wish you wrote. As a parent, it’s the story you hope your child will be inspired by. As a child, it’s the perfect combination of imagination, spirited resolve and adventure. This majestic little powerhouse of a character shows us all how self belief and courage to stand up for oneself, to reject the element of tedium, can lead to dreams being turned into reality. So fittingly, we just adore McKinlay’s dreamy language and Rudge’s equally dreamy mixed media illustrations. It definitely doesn’t feel monotonous reading this one over and over again. 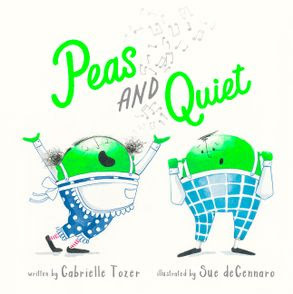 Peas and Quiet, Gabrielle Tozer (author), Sue DeGennaro (illus. ), HarperCollins Publishers, June 2017. Surprisingly, my four year old actually likes peas! But the clever metaphorical title and theme on differences between friends are equally enticing. The tri-coloured palette, that DeGennaro masters beautifully in many of her books, is just delightful and appropriately hued for the green-natured characters who, at times, induce a sense of ‘blue’. Tozer’s lolloping rhyme is the perfect accompaniment to the energy of the storyline; the eccentricities that the two peas in a pod challenge each other with daily, and finally learn to accommodate to in order for ‘peace’. Fun, charming and utterly endearing with a great message on accepting and negotiating differences. Pig the Star, Aaron Blabey (author, illus. ), Scholastic, January 2017. Every year we include a Blabey book in our list because…how can you not?! Fifth in the Pig series, the audacious pug is back, this time posing as a star of the photo shoot. Living up to his infamous reputation, Pig steals the limelight from sausage dog, Trevor, at any cost, only to fall to his own demise. Including a hilarious medley of iconic characters that parents will enjoy as much as the kids, and of course Blabey’s dark humour in rollicking rhyming couplets and larger-than-life illustrations. Pig the Starsure has captured a prominent place on our book shelf and in our hearts. 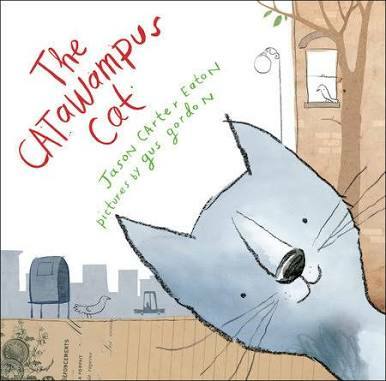 The Catawumpus Cat, Jason Carter Eaton (author), Gus Gordon (illus. ), Penguin Books Australia, April 2017. Clever, comical and crisp. The Catawumpus Cat makes our favourites list for its ingenuity and kookiness. Definitely an out-of-the-box tale of an askew-walking cat making a bold impression on the straight-talking townsfolk. Eaton‘s delectable dialogue paired with Gordon’s illuminating and imaginative illustrations just couldn’t be better. We pored over this book many a time and laughed out loud at the funny antics and charismatic pictures featured throughout. A great discussion tool for considering the world with fresh eyes, ears and gait! 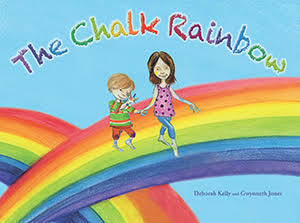 The Chalk Rainbow, Deborah Kelly (author), Gwynneth Jones (illus. ), EK Books, July 2017. Whether it is their love of rainbows or the sweet, heartwarming tale, my daughters both loved reading The Chalk Rainbow over and over again. Literally, a beautiful book about a sister accommodating to her younger brother’s special needs by helping him avoid the darkness wherever they traveled. With or without a family member with similar circumstances, the love and protection between siblings is something that readers can relate to, and my girls certainly did. An important, engaging and gorgeously colourful book on many levels. 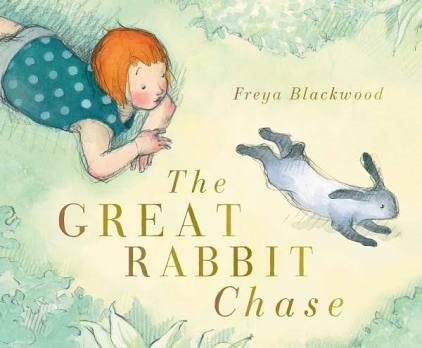 The Great Rabbit Chase, Freya Blackwood (author, illus. ), Scholastic, September 2017. This is a stunning release; penned by Freya Blackwood, with her naturally sublime illustrations that just melt your heart. The flow of her words in this beautiful mix of paces took us on an exciting adventure chasing the tail of the bunny escapee. Included is a glorious medley of interesting, and real, characters to meet and greet. I, especially, found relief in knowing I’m not the only mum to be caught off-guard in the middle of some much-needed alone time! Pure and sweet, playful, funny, and simply adorable, The Great Rabbit Chase has made a lasting impression on all of us. The Scared Book, Debra Tidball (author), Kim Siew (illus. ), Hachette Lothian Children’s Books, August 2017. Forever a favourite in our household, The Scared Book is perfect for active children eager to interact on a personal level. Its energetic, leading language and quirky, vibrant illustrations literally pull our attention towards physically helping the introspective ‘scared book’ character to overcome its fear of the monsters protruding from its spine and looming over its pages. Engaging giggles and teaching strategies for dealing with tough emotions like anxiety and fear all at the same time, this book is brilliant! The Wolf, the Duck and the Mouse, Mac Barnett (author), Jon Klassen (illus. ), Walker Books UK, October 2017. Here is some absolutely delicious literature-genius full of dark comedy, life-changing realisations and pure honest-to-goodness heart. 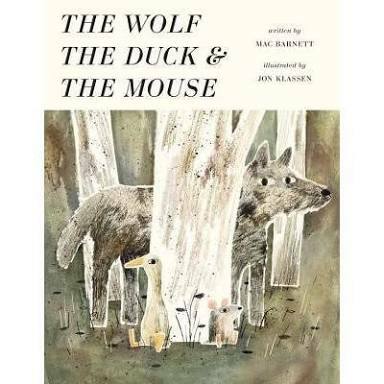 Legends Barnett and Klassen totally satisfy with this fractured fairy tale/fable about a gobbled-up mouse and a bizarrely contented duck inside the belly of a ravenous wolf. Underlying meanings and concealed intentions are cleverly integrated into this hilarious and creative story. This book is set to become a fantastic contemporary classic. We think it’s exceptional! 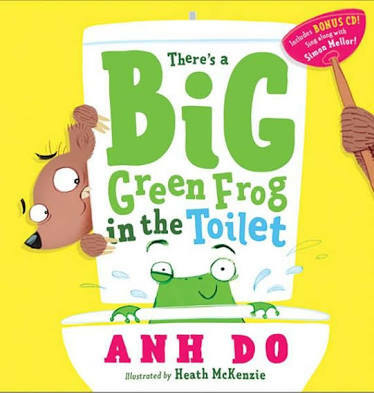 There’s a Big Green Frog in the Toilet, Anh Do (author), Heath McKenzie (illus. ), Scholastic Australia, October 2017. Yes, the book with the toilet humour had to ‘sneak’ in somewhere! We’ve seen bums and farts, now pee is ‘in’… or is it?! Singing along to our own tune (although this does come with its own bonus CD), my girls ‘cracked’ up every time each member of the bear family attempted to expel the big green frog from the toilet. Chanting loudly at the repetitive chorus provides a pleasurable language experience whilst the vibrant and exuberant illustrations had them busting with giggles. Good for a laugh, good for the musical element; There’s a Big Green Frog in the Toilet will be hard to dethrone from the favourites list. Can’t wait to discover brand new books yet to be discovered, and even newer ones yet to be released! Happy New Year, everyone! Looking forward to all the amazing bookish things in 2018!